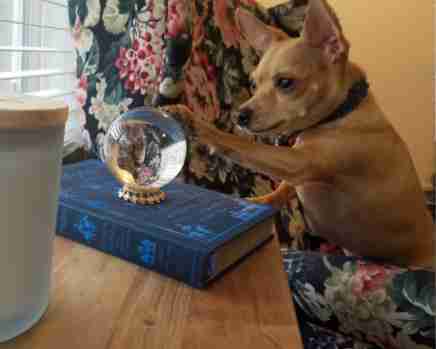 Baja the Chihuahua mix may not be a fortune teller — but he sure acts the part. 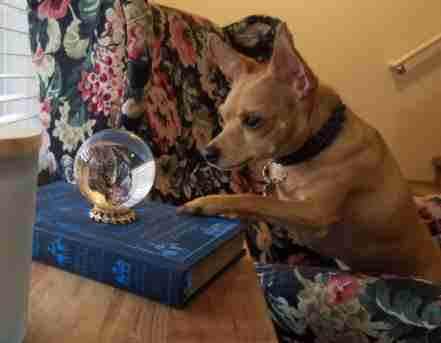 Ever since his mom, who goes by SmallRubyTouringHat on Reddit, brought home a crystal ball, the pup has become obsessed with looking deep within the glass sphere. Baja's family couldn’t figure out what the little pup was seeing in the orb. 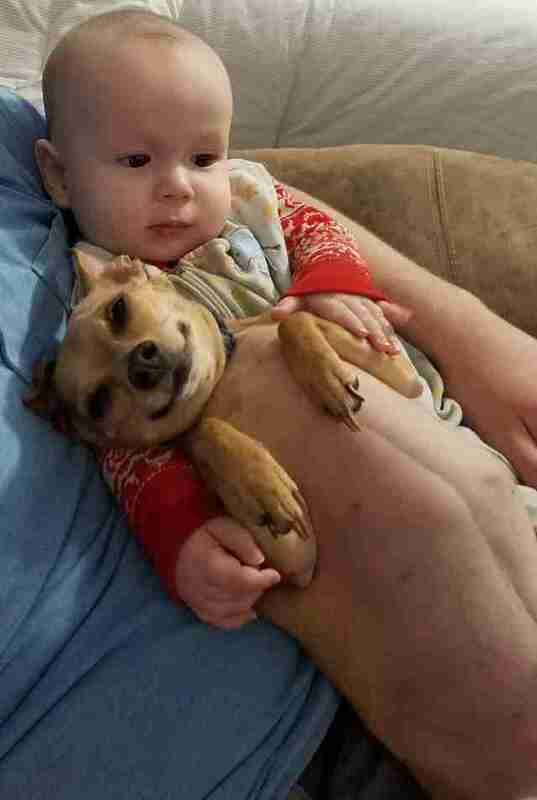 Could the dog actually have a knack for glimpsing the future? Surely not, they thought. Baja may be small, but he’s an excellent watchdog — ready to sound the alarm whenever a new person gets too close to the house. When Baja wouldn’t give up his new post by the crystal ball, his mom decided to investigate. As she got closer, she realized Baja was, in fact, seeing something in the ball — just not the future. Not only does the crystal ball add flair to the living room, but it makes Baja happy to be able to protect his family with his newfound power. 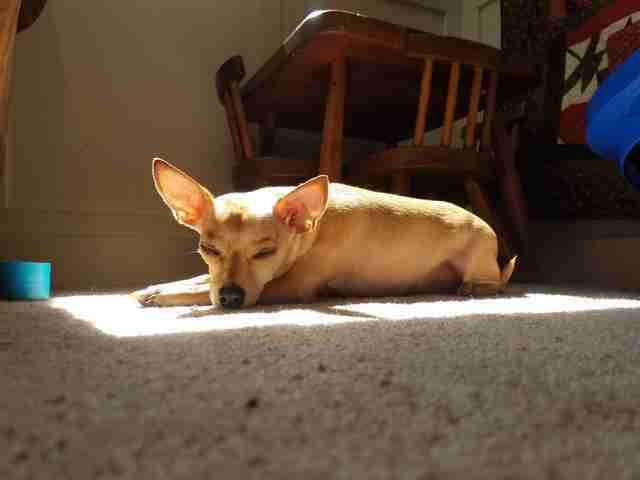 With the ball, Baja has finally found some peace of mind. “He gets up every so often to check it and we have a laugh watching him,” she added.